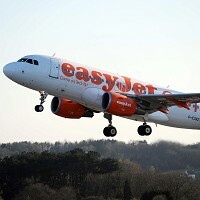 Budget airline easyJet has announced that a new flight route between Luton and Salzburg will be opened this winter. The twice-weekly service will be launched on December 17 and will carry holidaymakers, who are likely to have taken out a good ski travel insurance, to the popular tourist spot on Saturdays and Sundays. Hugh Aitken, easyJet's UK commercial manager, said: "Salzburg is an attractive destination which will appeal to many holidaymakers. "From its musical heritage and stunning architecture through to its ski offering, I'm sure it will tick many boxes for the discerning traveller." The new flight route could make Salzburg more accessible to alpine skiers as well as those who are interested in exploring the Austrian city's historical architecture.